Your stock flywheel on the E46 weights 30lbs or more, Ouch... HEAVY! This has a huge impact on the BMW inline 6 as it dulls throttle response and sapps horsepower and torque that could be going to the wheels. 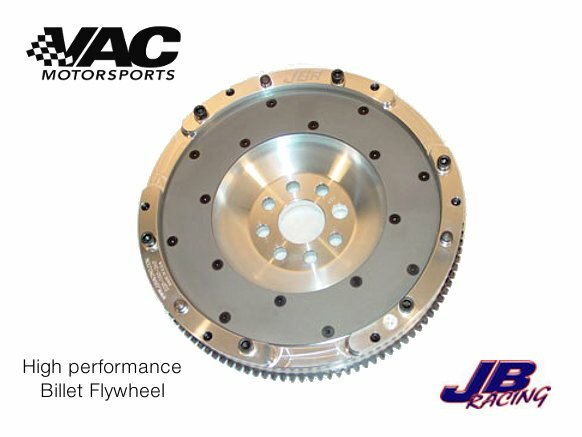 The super light JB Racing Flywheel is only 11 Lbs, and offers lightning fast upshifts and down shifts, amazing improvement in throttle response, durability, and more power to the ground by reduced rotating mass. Many customers have called a light weight flywheel and clutch "The best bang-for-the-buck money I have spent on my car".